Spring’s Here, but Winter is Stubborn! 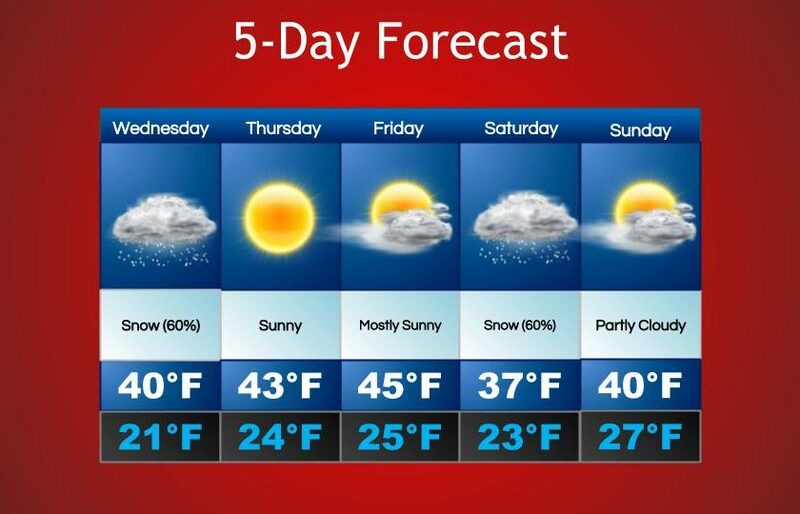 Looking at the next five days, winter is still trying to hold on. 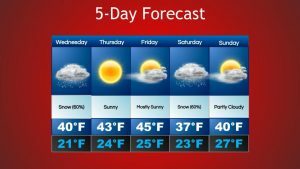 Snow is in the forecast for both Wednesday and Saturday. Thursday, Friday, and Sunday should all be much nicer, with partly cloudy to clear skies. Temperatures run consistent from high 30’s to mid 40’s, will all lows in the 20’s. Fingers crossed that we will start to see more warm weather soon!